You must be a member of the Hamburg Books & Readings Group to attend this activity. Would you like to join this group? 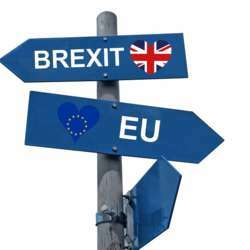 Brexit is a topic which concerns all British citizens living abroad and many are worried about the effect that the UK's exit from the EU may have on us all. In order to answer any questions you may have about your rights in Germany after the UK's exit from the EU. Rachel King, Economic Counsellor and Head of EU & Economic Section, at the British Embassy Berlin, as well as representatives from British in Germany Protected content and the local German authorities, have accepted to speak to all British citizens in Hamburg at an open Information Evening. The invitation is addressed to British citizens only and those who are concerned directly by the UK's exit from the EU. The authorisation of publishing this event and usage of texts has been given by friends of Britians e.v.